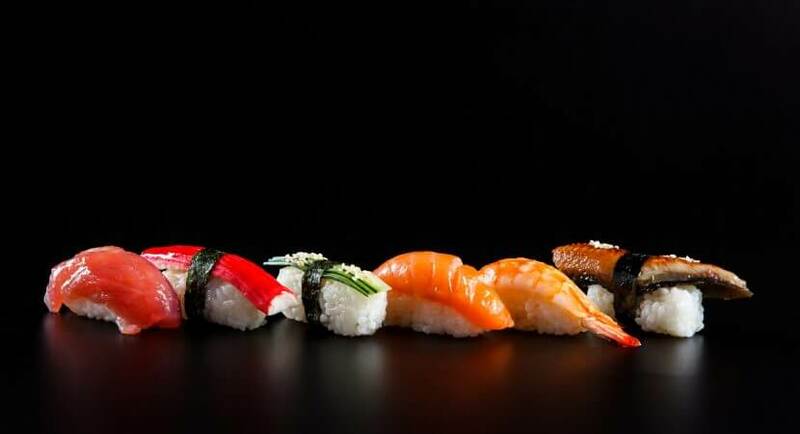 If you have seen the documentary, “Jiro Dreams of Sushi,” then you already know that he has the best sushi in the world. Sukiyabashi, Jiro’s Michelin three-star restaurant in Ginza, Tokyo is where you’ll find him preparing his world famous sushi. I unfortunately have never been there, but believe me, I really want try it. However, seeing as the prices for his dinner courses start at 30,000 yen (around $300.00 at the time of this writing) and you need to make reservations a month or more in advance, I’m not sure I’ll be able to make it there any time soon. While I have no doubt that Jiro’s sushi is king, I’m going to tell you about a place very few people know about. It is home to the best sushi I have ever had…BY FAR. Now I’m not a sushi newbie. I have been eating sushi since I was child. I’ve probably had more sushi in one year that most people have in their life…no exaggeration. I’ve also tried sushi all over the world. But this sushi restaurant located in a small city in Japan tops them all. The best sushi I have ever had, hands down, is a restaurant called “Kaiten Karato Ichiba Sushi.” It is located in Shimonoseki city, Yamaguchi prefecture in Japan. This city is famous for fugu, or puffer fish. That’s right, that’s the fish with the deadly poison in it (but is commonly eaten in Japan). 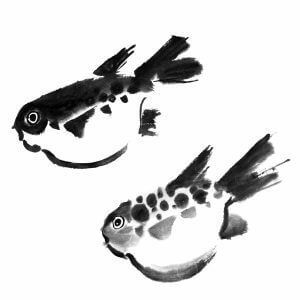 Karato Ichiba Sushi prepares and serves fugu, so if you want to try it, that is a good place to do it. The seafood there is about as fresh as you can get. It tastes just like they caught their fish 10 minutes ago, which might actually be the case. The flavors that they infuse into their sushi are absolutely delicious. They have items that are hard to find, even at other sushi restaurants in Japan. They have good service (although the staff doesn’t speak English). And last, but definitely not least, their prices are UNBELIEVEABLE. Let me talk about each of these qualities in a little more detail. Shimonoseki is surrounded by the ocean, which is always a good sign when you want to eat fresh seafood. What’s even better is they have a fish market where they have tanks to keep the fish alive in. The sushi restaurant is located on the 2nd floor of the Karato Fish Market. This place is a like a miniature Tsukiji Market in Tokyo. Fresh seafood is everywhere to be found. If you get there in the morning you’ll be treated to lots of vendors selling their freshest catch. If you rather not fight the crowd and prefer a laid-back setting, go to Karato Ichiba Sushi for dinner. All of the vendors have cleared out, so there is literally nothing to see there in the evening. However, the sushi restaurant is open for dinner, and there will be no crowds to fight through. That being said, the restaurant does get busy, so I would get there right when it opens at 5pm so you don’t have to wait to get a seat. There are tables as well as counter seats. Since it’s a kaiten sushi restaurant (conveyor belt sushi), you can have fun watching all of the delicious sushi creations go by. You can take a plate off of the line, or you can place an order with the wait staff or directly with the sushi chef (if you’re seated at the counter). Unfortunately, the menus are in Japanese, and the staff doesn’t speak much English. But as long as you know the names of the sushi and use a few gestures, you should be fine. 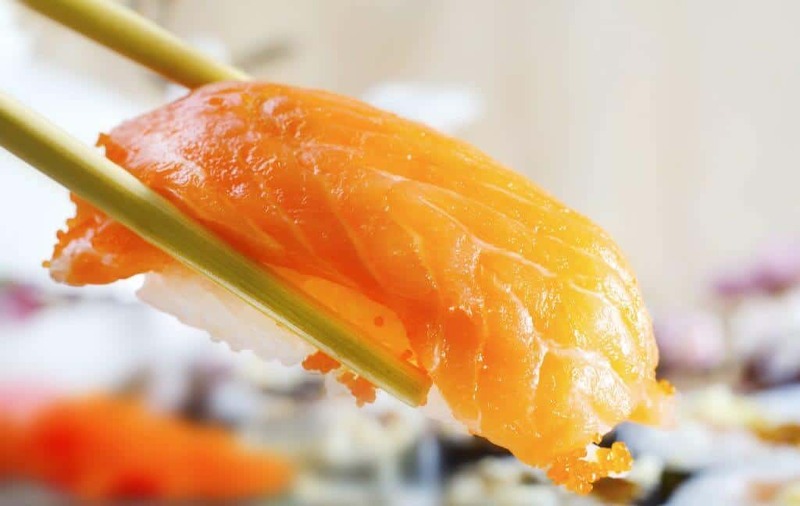 There are your standard types of sushi such as tamago (egg), ikura, uni, Hamachi, salmon, maguro, etc. But there were a few types of fish I have never seen at a sushi place before. You’ll also have the chance to try some of the best fugu in the country. The fugu sushi is one slice of raw fugu which you can eat by putting some ponzu sauce on it. There is also fried fugu pieces which is delicious. Fugu itself doesn’t have much flavor, but it is prized for its wonderful, chewy texture. Even the “normal” sushi has a few twists. There is their “salmon cheese,” where they melt a piece of cheese with a blow torch on your salmon sushi. This is common at many kaiten sushi places, but they also have smoked salmon sushi, which I haven’t seen anywhere else. It is legit smoked salmon too. Not the kind you put on a bagel with cream cheese. It is thicker pieces which carry the smoky flavor beautifully. Their maguro and Hamachi is to die for. The Hamachi served at Karato Ichiba sushi is so tender, and almost tastes creamy. 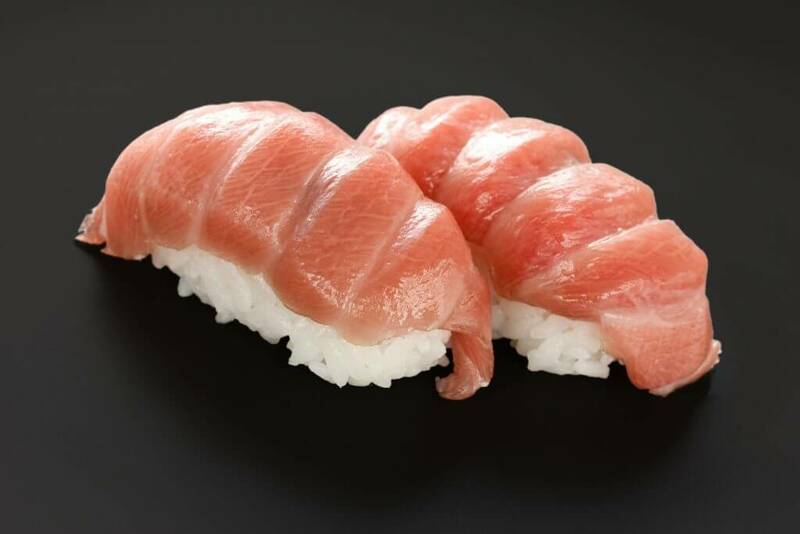 Many of you know Otoro, which is the fattiest part of the tuna, which makes it melt you in your mouth. The akami, or lean, red part, is usually all protein which makes it a little chewier. The maguro at Karato Ichiba Sushi however is COMPLETELY different. So different that I actually thought they got my order wrong and gave me a more expensive chutoro by mistake…they didn’t. The maguro was lean, but it just melts in your mouth. The best part? Its only 190yen (about $1.55) for two pieces. That is a steal for maguro of that quality. There are a lot of 100 yen (105 with tax) per plate sushi places in Japan. Many of them are quite good. In fact, these cheap sushi places are better than many places in American by far. Karato Ichiba Sushi is the top of the line in terms of quality and taste, and the price is not that much more. The cheaper plates start at 110yen (around $0.89) per plate with the most expensive items (otoro and kuruma ebi) costing 520 yen(around $4.22) per plate. Although some luxury items may have only one piece per plate. Still for quality this high and with prices this low, you can’t afford to not go here if you are in the area. You can take the bullet train to Kokura station. From there, you’ll have to catch a local JR train to Shimonoseki station. I believe there is only 1 JR train line from Kokura that stops at Shimonoseki, so it doesn’t come very often. It will take around 15 minutes. From Shimonoseki station, you can catch a bus (7-10 minutes) and get off at the “Karato” stop. From there you’ll need to walk another 10 minutes or so to the place. You could walk it to and from the station, but it will be about an hour each way. The fastest way to get there from Shimonoseki station is by taxi. It will be about 10-15 minutes away and cost in the neighborhood of 1200-2000 yen. The actual Karato Market is open from 10:00am to 3:00pm on the weekdays, and 7:00am to 3:00pm on the weekends. The sushi restaurant, Kaiten Karato Ichiba Sushi is open from 11:00am to 3:00pm for lunch and 5:00pm to 9:00pm for dinner daily. They do close 1-2 days per month on certain days. To check what days they will be closed, check out their website (Japanese only). Next to Karato Market is the Kamon Wharf, where there are shops to buy gifts and restaurants. The wharf hours are 9:00am to 7:00pm (6:00pm during the winter) while most restaurants there operate from 11:00am to 10:00pm. Check out the “Places to Visit” page for more places to go in Japan, or check out the “Food in Japan” page for more information about food in Land of the Rising Sun.